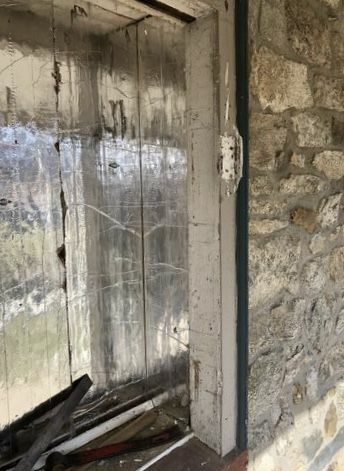 Our stone house has windows that slide against the original 4”x 4” window frame. My plan is to install Andersen inserts to replace them, giving up a little glass area to house the Andersen window frame. Has anyone done a similar project? My idea is to create an insert for the window, so that the front face of the window is flush with the outside frame. See pictures of the frame design and window. This design creates an 1/8” gap between the house frame and window’s front section (white in picture). Internally, I maintain a standard 3/8” gap. Any suggestions? Can’t you just remove the old window and insert the new window and screw to the 4×4 frame? For replacing windows the new ones are are custom made (usually). 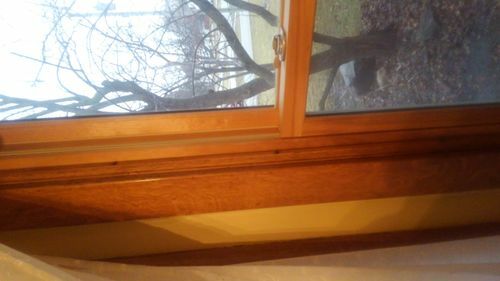 I used to install windows and if replacing a window or door and the opening was to large, I would simply frame it out. Your molding will take care of that gap and then caulk everything to make it weather proof. I may be misunderstanding your question, are you just replacing the sashes? Chad: To be exact, I’m not replacing the sashes, because the 4×4s and sill are the sash. 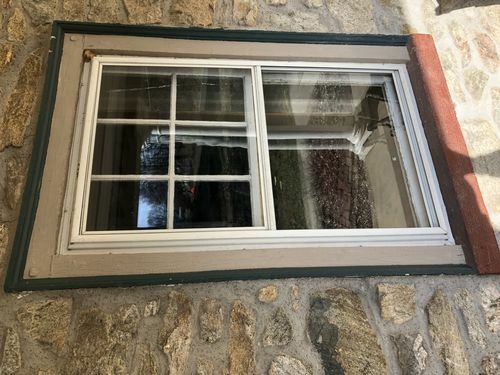 I could just install a window over the hole; but, I want to maintain the exterior look of the original frame. This is why I’m leaning towards an Andersen insert. If I modify the 4×4s (as shown above), they will fit in nicely, except for a sill angle mismatch. Snipes: By routing the frame, I’ creating the window stop, for that part my tape measure’s pushing against. Mounting from the inside is preferable – some windows are up 20 feet. Mainly, I’m worried about how much space I should have between the 4×4s and the sash. 3/8 is recommended for the sash, which I’ll do for most of it. Is 1/8 sufficient for the part rest (that 1 1/8 I’m measuring). I’ve seen the results of installing too tight (ignoring the 3/8 rule), but don’t know if it applies in this case. P.S. I haven’t bought the windows. I was measuring a store sample. If the window doesn’t open you should be just fine going with the 1/8 but if it opens, too tight is a PITA. could you route your ledge wider on the 4×4s that are too tight with a wider bit? Thanks Chad. The reason I’m trying to minimize the gap is because it’s outside (room for nests) and and the gap will be over 1.25” deep. I’m trying to learn what is the smallest non-PITA. These types of thing are usually a trade off between looks and issues down the road. Can you put a flashing underneath the insert leading out and silicone it in so it would channel any water out? I guess I’m still not sure if I understand your situation, can you get some good pics? I’m trying to recall on the Anderson how they do the bottom, but usually there’s trimmable piece there to allow for slope. I measure on inside by stop and subtract 1/4-3/8 all around, this leaves 1/8- 3/16 gap on all sides. Enough for foam, but not to big to caulk. I use thermotech generally, out of mn. Putting replacement in today. In my experience, I will never have Anderson again. 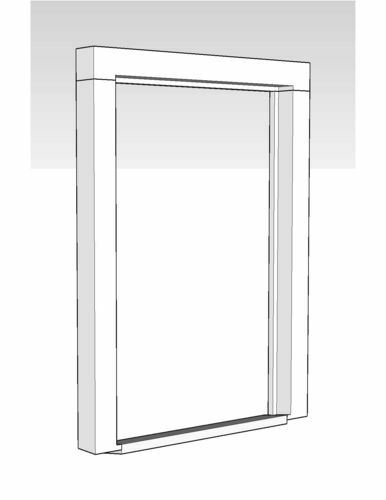 Marvin makes windows that install from the inside, but the outside snap in aluminum trim does install from the outside. I don’t have to touch inside trim which is oak. I don’t have to touch siding. My last 4 Anderson windows will be leaving the building soon. And no ugly white plastic showing with the Marvin. First picture Marvin. Second Anderson. What you propose should work, though it seems labour intensive and difficult to setup for accuracy and reliability. The corners will have to be cut by hand, even if you route with a special-made fence that rides on the uncut portion of the existing frame. Not a deal breaker and I am certain you could make such a jig. As I read it you want to eliminate the need to add trim to the existing house, as the frame is the trim and is the window frame, so routing a recess creates a place for the window without the need to alter the exterior. 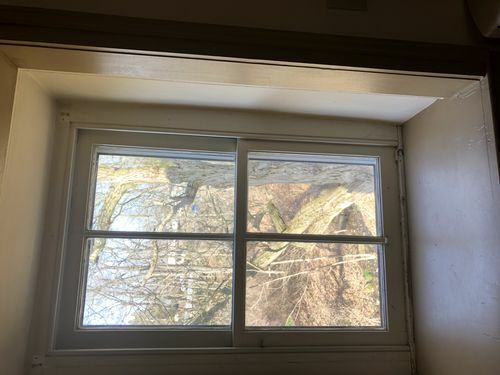 If trimming the outside is off limits, then you are probably looking at the only way you can pull it off…assuming they are all square and your new window is concealed by the lip you route. It is likely though that some are out of square enough that you may have to re-think things on the fly. Thanks, ibewjon. I will look at Marvin. I saw the inserts at IBS and was impressed; but, I was afraid too ask the price. It’s worth deciding if I’m being penny-wise, and pound foolish. BlueRidgeDog, you described the situation accurately. 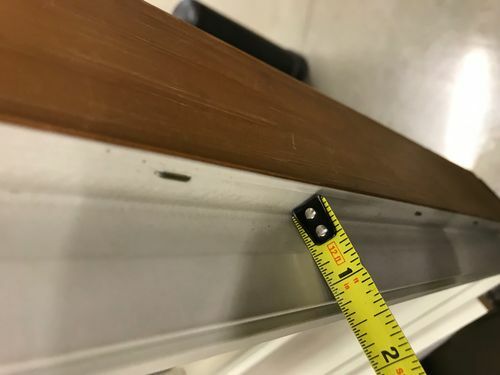 Yes, some are out of square up to 1/4”, and the overall size between windows varies by 1/2”. My idea is to use a jig that will fit in all the windows and square them that way, including the outside edge. I’ll need a sharp chisel and patience for the 40 corners. To provide better clarity, I include pictures. Better view of frame, where the old window is missing. Stile looks deeper than 4”, because of trim on interior. A couple years ago in Illinois I was paying about $400 for their custom sized windows. 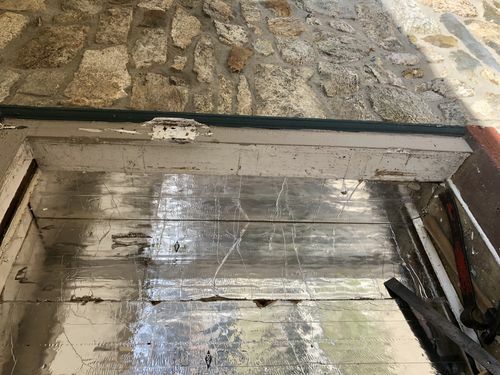 When you look at not touching interior trim and no destruction outside, just add the extruded aluminum trim and caulk, the price was a no brainier. I don’t know what your interior is, if you are gutting the inside, but not touching my oak trim and the time savings, doing two windows a day… I am well satisfied, and Marvin made some small awning windows no other company could. Marvin is a great window but at a high price point also. Vinyl windows can be made to any size, however there’s definitely some bad companies out there. I just got done swapping out 20 yr old Marvin’s for thermotech, they were all rotten, patio doors also. 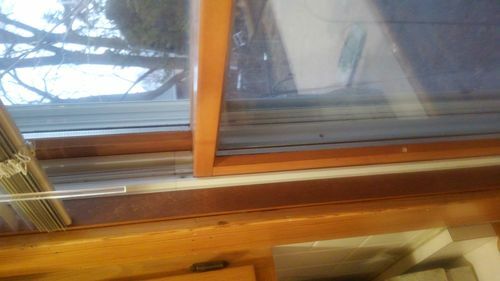 All windows rot if not installed correctly.